Yes, it’s true—sylvari were created to be dragon minions. And now Mordremoth has called them home. As we ended season two of our Living World episodes, we saw that some sylvari heeded Mordremoth’s call and then turned against their Pact comrades. All the sylvari in the area have heard the call, but so far only some have succumbed to the dragon’s influence. These sylvari are known as Mordrem Guard. The Mordrem Guard are one of Mordremoth’s most dangerous weapons. Because they include former Pact officers and Pale Reavers, they are quite skilled at combat and they know the Pact’s standard tactics. And unlike other minions of Mordremoth, the Mordrem Guard are smart and their efforts are well coordinated. While their minds are not entirely their own, they retain all their previous intelligence and can talk and organize themselves to fulfill the dragon’s wishes. This makes them very hard to track and even harder to defeat. 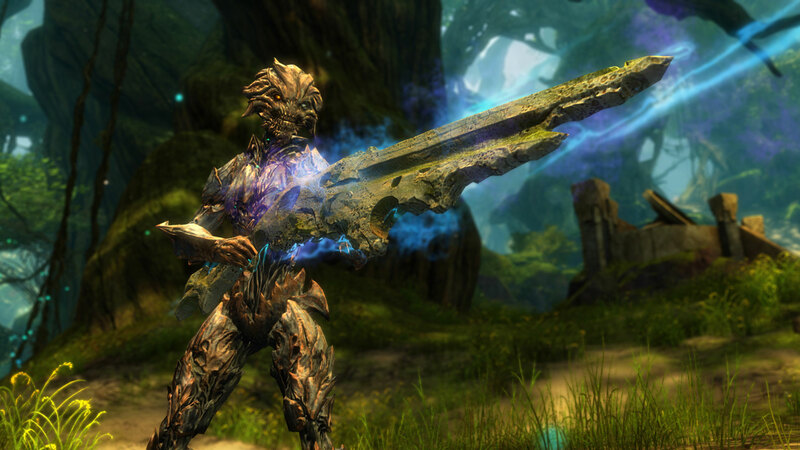 When a sylvari becomes a Mordrem Guard, they also transform physically. This was by Mordremoth’s design. When they turn, their bodies grow in height and girth. They are roughly 20 percent larger than other sylvari and noticeably more muscular. They also develop a sort of natural armor. Their outer layer transforms from softer plant material to a hardened, bark-like coating that provides extra protection in battle. The most dangerous Mordrem Guard are the commanders, specially created to be the jungle dragon’s elite fighters. There are three unique commanders active in Maguuma, each with its own individual look, weaponry, and set of terrifying magical attacks. Worst of all for Pact forces, Mordremoth has an inexhaustible supply of all three Mordrem Guard commanders; when one falls in battle, the jungle dragon simply creates a new one with the same look, same name, and same deadly abilities as the one it replaced. 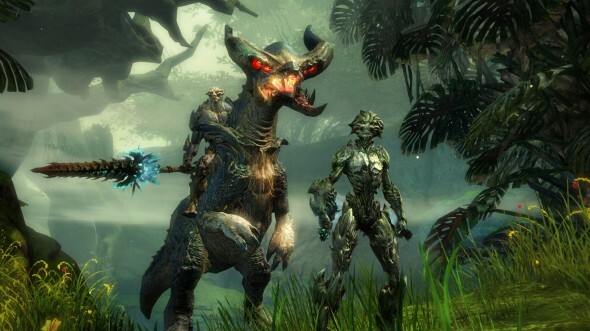 At ArenaNet, narrative designers worked with the Creatures Team, Art, Audio, and gameplay designers to create a variety of Mordrem Guard enemies. Their appearances, fighting styles, and behaviors are all in line with their stories and Mordremoth’s purposes for them. And because these minions talk, they often provide insight into what their master is up to. They’ll taunt and threaten you often, and occasionally you can eavesdrop on a private conversation that they wouldn’t want you to overhear. Mordrem Guard are entirely devoted to Mordremoth. They regard the dragon as their destiny and reject their former lives and all the teachings of the Pale Tree. In fact, some express disdain for her presence and the fact that she kept them from this fate for so long; they feel that all those Wyld Hunts in their past were just distractions, pulling their focus away from their true purpose. The Mordrem Guard are unique among minions in that one of their major roles is to spearhead the creation of even more minions for the jungle dragon. They will try to convince their former sylvari brethren to join them. They will capture prisoners and bring them to their master. And they are expert at using Mordremoth’s blighting plants to create Mordrem versions of all creatures. They do not care if their subject is living or dead. Mordrem Guard know how to turn any body into multiple slaves to add to the dragon’s army. So, which sylvari have become Mordrem Guard? You’ll have to play Guild Wars 2: Heart of Thorns™ to find out. But know that Mordremoth’s call is not a onetime occurrence. Some sylvari may have stayed strong through the first call, but all sylvari are vulnerable and could still succumb to Mordremoth’s influence. The jungle dragon will keep drawing its minions closer and will use any opportunity to grow its army of servants.